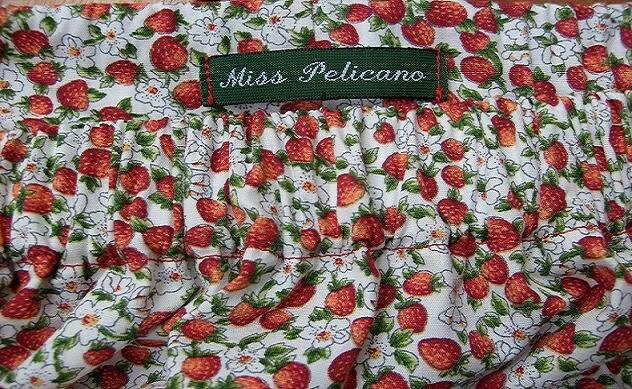 Miss Pelicano: For the Gentleman! My Dad always dresses very elegantly. My sister and I always say he dresses like an English gentleman! So this was an excellent accessory to sew for him. My Dad lives in portugal, where I'm from, but since i'm living in Sweden I hadn't celebrated his Birthday there with him for a few years. This year I made sure to be there with him and I'm so glad I was and to personally give him this present. He was already wearing an ascot, of course! One which I bought in a shop in England a few years ago. But he immediately took it off and put his new one on, commenting on how much better quality the one I made was! It's the joy of handmade! The beautiful fabric is a high quality quilt cotton with a lovely touch. The fabric is called "Cocorico", by Hoffman California International Fabrics. I can't believe my Dad is 92! He looks amazing and as elegant as always! I even sent this top photo to the Sew, Mama, Sew! blog challenge Make it! Wear it! and it was chosen to feature in the highlights but because of different time zones, by the time I read their e-mail it was probably already too late to send my approval. Oh well, maybe next time! And I'm still flattered! The ascot was made form the Burda 3404 pattern and it is a very easy one with very effective results! The pleats are fun to make and immediately give it a very elegant look. "The Modern Gentleman's Neck-Tie ABC"
Then I found this fun little book in a bookshop in Sweden. Through clear pictures it shows how to tie different knots on different neck-ties. After some googling I learnt that Plastron is also called Plastrong, the Swedish word for ascot, or cravat. And here is how you tie it! You can also get help with the perfect suit/tie colour coordination! Click on the images to enlarge to get a closer look. If you're a man, there's no excuse now! If your man needs help, here is the answer! We talk a lot about how beautiful and elegant vintage ladies wear (dresses, skirts, blouses) was (is). I'm thinking 30's to 60's. And how much fashion has changed. But for the gentleman (!) has it changed that much? From the little I know about sewing blogs I haven't seen much men's fashion, so I propose a challenge for anyone who wants to show any sewing projects you have made, are making, could make, for men! Check out other ties I've made, here! Até que enfim coisas novas!!! I became very happy to have seen in your blog the gift offered on my birthday.I am sure that your readers will also appreciated your creativity and good taste. Adorei ver as fotos do pai. Continua um homem elegante. O trabalho está espectacular num tecido muito bonito. Apreciei muito a pesquisa feita para a apresentação do seu trabalho. What a wonderful gift! I love the print you chose. Your father looks very sophisticated--congratulations on his 92nd birthday! That is quite an achievement. This made me smile. We don't sew for our men as much. I used to make a lot of my husbands clothes but just stopped. I'm so glad you posted about your gift for your father and that it was on sew mama sew. He is handsome and obviously proud of you. Have a great day! What a great post! the content is really interesting and the pics are also very good! Congrats (especially for having such a handsome daddy)!! Ficou fantástico, Bárbara! E que bem que fica ao teu pai! holy cow! your dad is adorable!! also, LOVE the scarf. Adoro o presente que fizeste e o teu pai tem um ar tão orgulhoso do seu presente;) Parabéns ao pai e à filha! beijinhos, espero que estejas bem! What a lovely post - I loved it! Your father looks very dashing in the print you chose. You are so right about the men being overlooked out here in the sewing blogosphere - we need to fix that. The book is fascinating I love the diagrams for tying the different styles of knots - who knew there were so many! Thank you for sharing it. I agree - your dad looks marvelous. And the books - who could resist?! Everything Tote - It Sure Is! SEW & SHOW - Gentleman's Challenge!